When was the last time you sat down and wrote a letter? You know, a handwritten card or a lovely note on gorgeous stationery. It had been a while for us, but now that our Rifle Paper stationery and Breathless Paper Co. cards are here, we find ourselves searching for any reason to grab a pen and head to the post office. 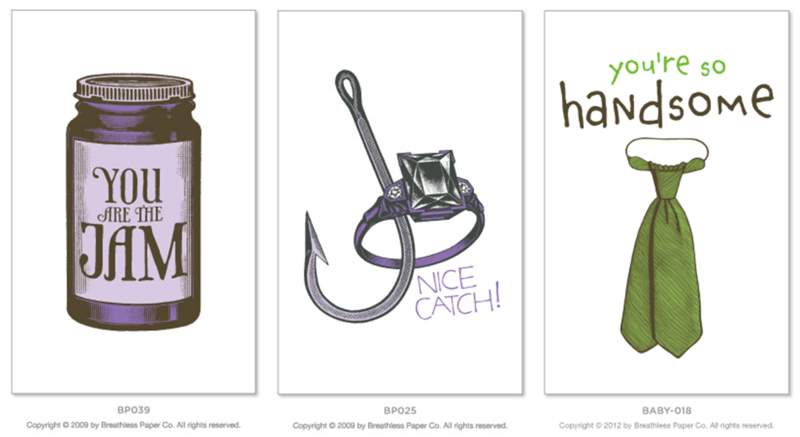 Breathless Paper gives you a million reasons to send a card, our collection of their cards is bound to make anyone’s day a little more humorous. Cards for babies that have the most adorable images, along with funny engagement cards and cards to just tell someone you care. Rifle Paper Co. has perfect stationery (and adorable phone covers) to use as invites to any summer parties or just to say hi. The colors and designs on these cards are flawless. So perfect for thank you cards that all us Southern girls send. Send one to your best friend, your mom, or your mother in law. 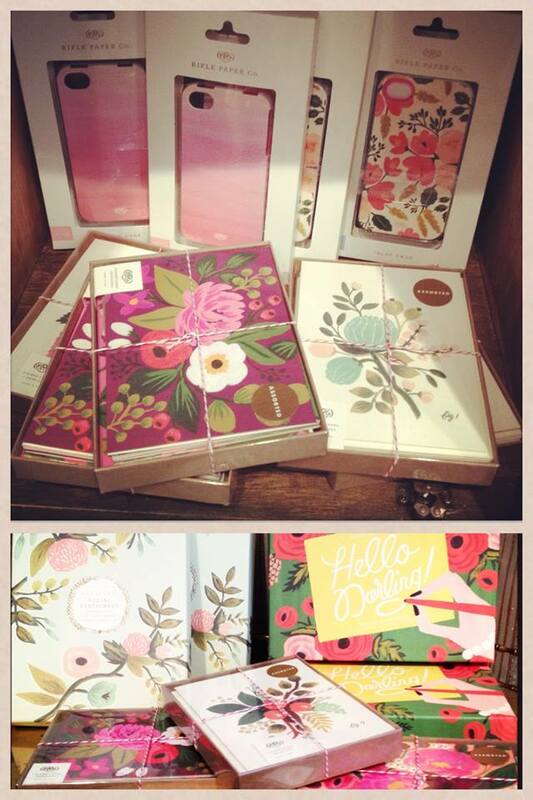 You’ll look like quite the stationery queen! Pop into the store today and grab some cards for the kids, too. The weather man is calling for rain this evening, it would be a perfect quiet activity!